The person who some cite as the most controversial member of City Council, Desley Brooks, has also been the person who has championed some of the toughest fights for racial justice in our city. From working to establish the Department of Race and Equity to push our city to quantify and end racial inequity, to being one of the first to stand up for and champion Measure JJ in 2016 – the Protect Oakland Renters Act – this Councilmember has demonstrated a will to fight hard for Black and Brown families in Oakland. She uses her background as a lawyer to (mostly) advance a progressive community-centered agenda. She’s endured a lot of attacks from people who don’t live in her district as well as from special interests inside her district. While we wrangle with her delivery at times, Desley has remained steadfast to her values and commitment towards racial justice and often stands with community-driven efforts, even in the face of immense pressure. CM Brooks understands how our local democracy has often been co-opted by corporate and development interests, and that it’s her job to represent her constituents and not special-moneyed interests. She understands the real challenges of District 6 and tries to operate in a pragmatic way with integrity. We would like to see CM Brooks work towards more unity amongst her fellow Councilmembers, and we appreciate the hard and sometimes unpopular fights she hasn’t backed down from in the interests of her constituents – particularly those most overlooked flatlands residents. 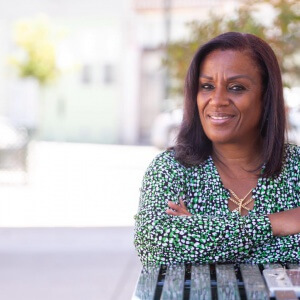 These are the reasons why Council Member Brooks is Oakland Rising Action’s first choice for District 6 City Council seat. Mya Whitaker is a candidate with a lot of passion for the youth, her peers, and is deeply committed to representing District 6. As a born and raised resident of District 6, Mya speaks articulately and precisely about the needs of her community members. 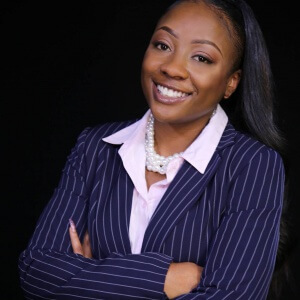 She has a compelling personal story, and is a strong leader “from the roots” of District 6. Mya is able to articulate the needs of the community and she truly believes that a fresh council can make a difference. She is the type of leader we want to continue to develop and invest in. At the same time, we are concerned that she doesn’t have a strong grasp on policy solutions and needs more experience to deliver the policies that she envisions. Oakland Rising Action would love to see her gain more political experience through boards and commissions. Oakland Rising Action did not make a third place endorsement amongst District 6 City Council candidates. We found Loren Taylor and Natasha Middleton to be good people and valuable community members with good intentions, yet our concerns about their ability to develop and be accountable to a base of constituents, as well as their connections to moneyed-interests who we disagree with, has outweighed their inspirational qualities. We encourage all residents of District 6 to do their own research and choose who to vote for #3.